Home gyms need some form of a gym mats that can be easily stored away, are lightweight and can be cleaned easily. They come in a variety of materials, styles and sizes to fight every need. Decide on the types of exercise you will be doing before you choose your mat. Stretching exercises can be done on a yoga mat. Made from a thin rubber, they are lightweight and can be easily rolled up to store away. Weight training requires a heavier mat. 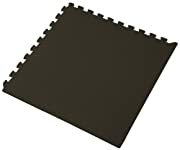 These heavy duty rubber mats don’t necessarily need to be rolled and stored. They are perfect for weightlifting since they provide a lot of cushioning under your feet while you burdened with the extra pounds of your weights. Rubber gym mats also provide cushioning from dropped weights, preventing damage to both your floor and your weights. The last type of mat are soft gym mats made of foam that is covered in vinyl. These are ideal for workouts that require a lot of floor time, like yoga, Pilates and aerobics. These mats are soft and absorb impacts while remaining cushioned. The vinyl cover makes them easy to clean up after a sweaty workout. aving a home gym in the basement is ideal since the floor will support heavy equipment and weights. And the basement often has more open space so creating a home gym layout in a good sized area is easier. An area of 11 foot by 10 foot is ideal. So how do you design the best layout? Begin by constructing a floor plan of the room on paper. This way you can see how your equipment will fit into the space. If you will be including several different exercise machines, arrange them so the tallest and biggest pieces are set along the walls with smaller and shorter pieces in the middle. This gives you the maximum use of space and improves the look of the room. Put Interlocking Rubber Floor tiles or Rubber Flooring Rolls under heavy equipment and in any area low impact is needed. Leave a large area open for stretching and aerobics. Make sure that you have about 30 square feet so you won’t be bumping into any equipment. Free weight racks, step equipment and benches need to be in the same area. Add mirrors on as many walls as possible. A full length mirror is good for areas where you will be doing stretches. Hang pictures and add color to the walls of your home gym. Color can motivate you while inspirational pictures will keep you moving. 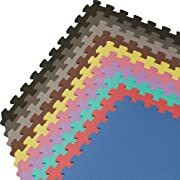 You can add color to the floors with colored rubber floor tiles. You basement home gym can be an asset to your fitness needs. With careful considerations of what equipment you need and where its placed you home gym layout can be functional and attractive. 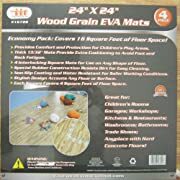 This product is one that is ideal for when you first start to set up a home gym, and need tips about the most popular equipment as well as creative home gym decorating suggestions to keep your workout area bright and motivational to help you stick to your fitness plan. You can learn more about the ideal home gym design and decorating ideas from the site directory page that also features more home gym equipment suggestions and tips for the best workout and fitness accessories. See you on the other side!